Sometimes you go to a show, see a band you've never seen live before, and walk away feeling secretly disappointed. Thinking you prefer how they sound at home, on your speakers. Loving them slightly less. 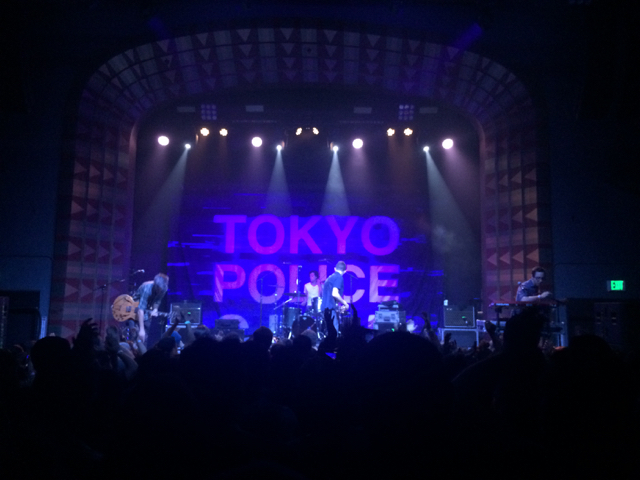 The only point of this post is to say that Tokyo Police Club will not be that band. And if a time comes when you have to choose between, say, dining at your favorite restaurant or seeing TPC? Tell the maitre d' you'll be in touch to reschedule. Then hit a Red Bull and be on your way to the concert hall, because these young rockers are going to bring ALL their energy. And they'll be expecting yours.